Dude you have been slacking...when's a new picture coming? Sorry Kev, I haven't been "slacking" though. I've been *busy*. I try to post every couple of days but there are bound to be a few hiccups now and again. I'll try to keep them to a minimum though. Thanks for lookin'! 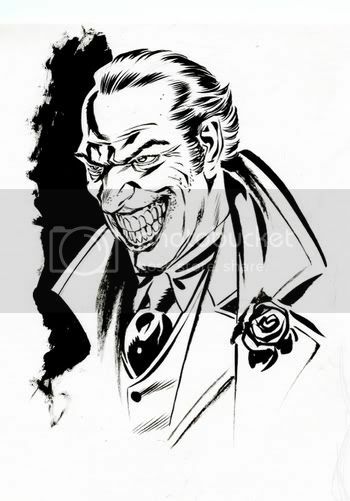 Dude, this is an AWESOME joker picture. It's probably the most original and refreshing take on his look I've seen in a while. I love the drybrush. Great, well thought out stuff as always, Chris.